Offering family dining & catering. Open 7 days a week. We offer delivery orders to the Clarks Summit, PA area within a 5 mile radius of our establishment, which includes most if not all of Clarks Summit, PA. Delivery to any business is FREE, delivery to residential homes include a $2.00 delivery fee. All deliveries require a $15.00 minimum order. Rosario's provides you with a great customer experience! 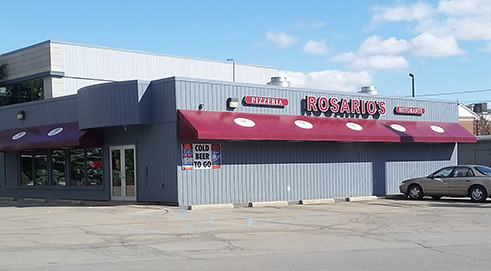 Rosario's Pizzeria & Ristorante is founded on the principles of creating a great customer experience, serving quality food to our guests and providing good value for family dining. We believe that it is a privilege to have you come to our restaurant so we take every detail of your experience into consideration. Our goal is to make our restaurant your first choice when considering family Italian dining. Rosario himself has been in and around the pizza business all his life. In fact, his entire family is in the restaurant business so he knows what it takes to deliver a great product. Rosario understands that earning a customers business is a privilege. He recognizes that if you are coming out to dine, then you are expecting to be treated with the highest regard and prepared a meal that satisfies your expectations. This is why there is no comprimising when preparing the food and only the best ingredients are used. 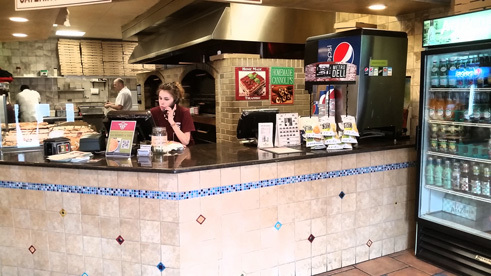 Unlike most pizzerias, Rosario's will not sacrifice on quality for the sake of saving costs. So come by and see for yourself what a difference Rosario's Pizzeria & Ristorante is. You will find a pleasant atmosphere and great food that we believe sets us apart from the rest. Whether you are coming in for a slice or bringing the family in for some great family dining, we are sure you will be satisfied. We love the buffalo pizza and the vodka pizza. The garlic knots are also very tasty. We haven't been disappointed yet and have been there many times. Rosario's Pizzeria & Ristorante, 100 Highland Ave., Clarks Summit. 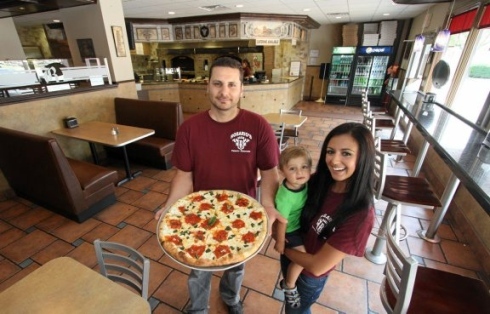 Rosario Bevilacqua, with his wife, Jessica, and son, Rosario, holds one of the many specialty pizzas offered at Rosario's. Stop in and checkout the wide variety pizza to choose from. Dine-in waitress service available on Friday & Saturday Nights! Visit us on a Friday or Saturday and let us take care of you. Our friendly waiters and waitresses will take care of you during your visit so you can relax and enjoy an evening out. 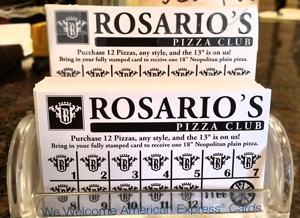 Join Rosario's pizza club! Come in and take advantage of our Frequent Customer Pizza Punch Cards - Buy 12 pizzas and get your next pizza FREE! 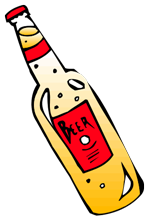 Check out our new beer selections! We now offer a variety of 6 packs to go, as well as select bottled beer for dine-in! 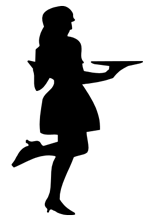 Interested in school fundraising for your sports team or curricular group? Contact us to ask about our fundraising options! Always great food for eat in or take out. Be sure to try the Tuscan salad; filled with chicken, artichokes and south more. Pizza and sandwiches also really good. 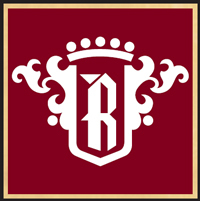 What are people saying about Rosario's? This pizza is sooooo delicious I couldn't get enough. The white pie was perfect it had the right balance of ricotta and mozzarella. I also had a slice of the grandma pie what great flavors it was another perfect slice. I would have to say that this pizza is the best I have had in a very very long time. I will be stopping in again this weekend while in town can't wait. Our regular take out pizza place. We love the Grandma Pie, a rectangular 'tray' style dough, with the crust done perfectly most every time. The standard topping is San Marsano plum tomatoes and garlic over mozzarella. Sometime we add broccoli or mushrooms. Another fav is the white pizza with multiple cheeses, olive oil, garlic... again on the grandma crust, we often add the optional spinach , but if you like CHEESE and garlic, you may like it plain.